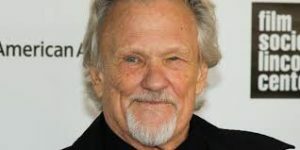 Four-time Emmy Award winning producer Jim Brown is backing off his statement that Kris Kristofferson, 79, suffers from Alzheimer’s Disease as he stated in a recent interview with podcast host Halli Casser-Jayne on The Halli Casser-Jayne Show. 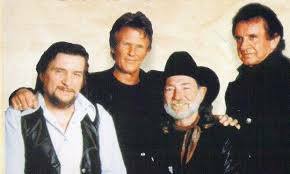 Brown is the producer of ‘The Highwaymen – Friends till the End,” documentary, featuring Kristofferson airing on PBS stations Friday, May 27, 9 pm ET. 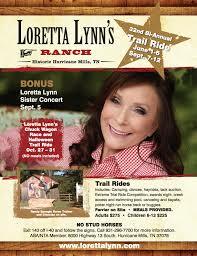 He had recently interviewed Kristofferson and his wife Lisa for his film. Calls to Kristofferson’s office to either affirm or deny Brown’s statement and Kristofferson’s condition have not been returned. Rumors concerning Kris Kristofferson’s health have percolated through the music industry for years. Some have made the uneducated guess that the former boxer could be suffering from pugilistica, a neurodegenerative disease with features of dementia that can only be diagnosed after death. To listen to the entire exchange and Halli’s conversation with author Terry Jennings, oldest son of country singer Waylon Jennings visit Halli Casser-Jayne dot com. The Halli Casser-Jayne Show airs original episodes Wednesdays, 3 pm ET. 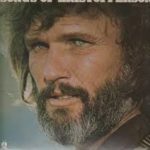 In an interview with podcast host Halli Casser-Jayne, four-time Emmy Award winner, Jim Brown revealed that his long-time friend and associate, Kris Kristofferson, 79, is suffering from Alzheimer’s Disease. 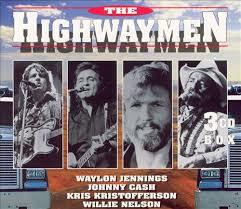 Brown is the producer of ‘The Highwaymen – Friends till the End,” documentary, featuring Kristofferson. It will air on PBS stations Friday, May 27, 9 pm ET. Brown recently interviewed Kristofferson and his wife Lisa for his film. 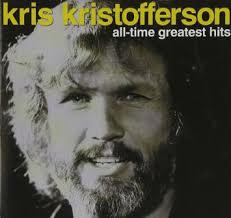 There have been varied reports in the media concerning Kristofferson’s health. He has alluded to “memory loss” in print. 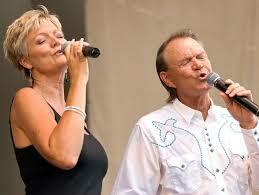 But Brown’s disclosure on The Halli Casser-Jayne Show is the first to name Kristofferson’s ailment. Attempts to verify Brown’s assertion with Kristofferson’s team have not been answered. Longtime journalist Halli Casser-Jayne, host of the show of the same name is not new to journalism. War correspondent, documentary producer, and radio host, Casser-Jayne worked with Door’s drummer John Densmore on his bestselling autobiography, RIDERS ON THE STORM. 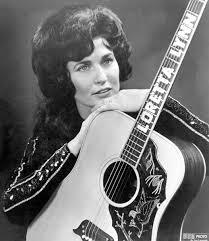 “I am a longtime fan of Kris Kristofferson’s, and my jaw almost dropped at Brown’s revelation. We have to find a cure for Alzheimer’s,” Casser-Jayne says. 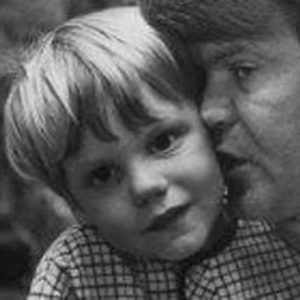 “We’re losing too many greatest minds and talent to ‘The Long Goodbye.’” It was recently revealed the Glenn Campbell is also battling the disease. To listen to the entire exchange and Halli’s conversation with author Terry Jennings, and oldest son of country singer Waylon Jennings visit Halli Casser-Jayne dot com. The Halli Casser-Jayne Show airs original episodes Wednesdays, 3 pm ET. 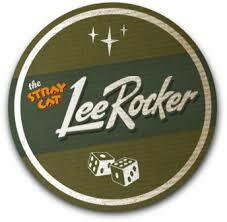 Lee Rocker made his mark singing, playing, standing on, spinning and rocking his giant upright bass in the legendary music group The Stray Cats. 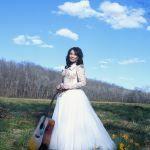 ‘The Bass King’ will join Halli at her table on The Halli Casser-Jayne Show, Wednesday, August 12, 3 pm ET for an interview you won’t soon forget. 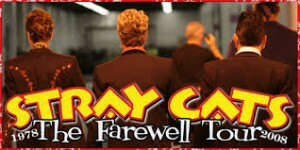 Grammy-nominated, The Stray Cats have sold nearly 10 million albums and garnered an astounding 23 gold and platinum certified records worldwide. Founded by Rocker, Brian Setzer, and Slim Jim Phantom, The Stray Cats remain a radio staple, were music video pioneers at the infancy of MTV, and repeatedly brought rockabilly music to the top of the charts. 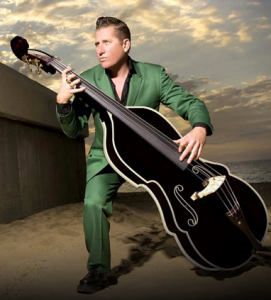 A conversation with legendary bassist, Lee Rocker, Wednesday, August 12, 3 pm ET on The Halli Casser-Jayne Show Podcast. For more information visit Halli Casser-Jayne dot com. New York Times bestselling author Rick Bragg, whose new book JERRY LEE LEWIS, HIS OWN STORY officially launches October 28. Interviewing the seminal musician over the course of two summers, Bragg recreates the almost impossible to believe story of the hell-raising Southern boy who would galvanize the world and give the devil’s edge to rock and roll with songs like “Whole Lotta Shakin’ Goin’ On” and “Great Balls of Fire.” Together Bragg and Lewis have created an amazing biography of the music legend: JERRY LEE LEWIS: HIS OWN STORY for this groundbreaking new book. Bragg is the author of the New York Times bestsellers ALL OVER BUT THE SHOUTIN’, AVA’S MAN, THE PRINCE OF FROGTOWN, and I AM A SOLDIER, TOO: THE JESSICA LYNCH STORY. He has twice won the prestigious American Society of Newspaper Editors Distinguished Writing Award and more than fifty writing awards in his career. He is currently a professor of writing at the University of Alabama in Tuscaloosa. 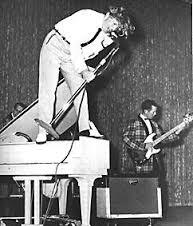 Jerry Lee Lewis helped define the wild frontier of rock and roll. His most recent albums, Last Man Standing (2006) and Mean Old Man (2010), were his most successful in thirty years. Still performing today, The Killer recently opened Jerry Lee Lewis’s Cafe and Honky Tonk on Beale Street in Memphis, Tennessee. 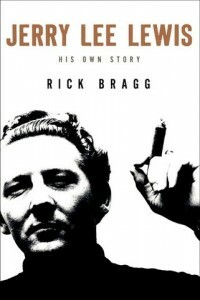 Jerry Lee Lewis biographer, Rick Bragg, Sunday, October 26, 8 pm ET on The Halli Casser-Jayne Show,Talk Radio for Fine Minds. Tune in live online at Halli Casser-Jayne dot com. When you’re talking to a musical genius, you know it. You know it by the rhythm of their words, the melodic sound of their voice, the agility in which they tell their story. Such was my conversation with legendary guitarist, founder of the pioneering folk rock Sixties group The Byrds, and songwriter extraordinaire, Roger McGuinn. For those of you who don’t know Roger McGuinn, McGuinn was voted in the top five on “Rolling Stone’s” list of greatest guitar players of all time, praised for his chordal 12-string Rickenbacker riffs, the sonic bridge between folk and rock that changed music forever. When we talked, McGuinn was in a hotel room in California, preparing to mount a new show with Marty Stuart and the Fabulous Superlatives. In an hour rehearsal would begin, and he was edgy. I sensed a horse at the starting gate anxiously awaiting his big run. And run, run, run is what Roger McGuinn likes to do and does best…with his fingers…sliding up and town the strings of his first love, his Rickenbacker guitar. I quickly learn that McGuinn is not a trusting soul. He is a man who likes to be in charge. The master of control over guitar strings, it is clear to me he doesn’t feel in control of much else. He played me as well as he plays lead guitar. I was the one asking the questions, but McGuinn was strongly guiding my way. His rise to the top of the musical world is a story he likes to tell, and tell his way. He tells it as a linear tale, understands how “a” led to “b” in his musical story and, clearly, he hopes that you will understand his journey better when you receive it his way…his life like the parts of the songs he writes: the introduction, the verse, the chorus. He tells me his favorite song is “Turn, Turn, Turn,” one he didn’t write, but Pete Seeger did. The lyrics, except for the title which is repeated throughout the song, and the final verse of the song, are adapted word-for-word from Chapter 3 of the Book of Ecclesiastes. McGuinn is a deeply religious man, starts every day in prayer with his wife of thirty-five years, Camilla. 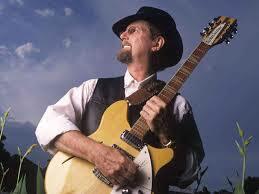 Roger McGuinn, chapter and verse, unlike the song, still waiting for his coda.